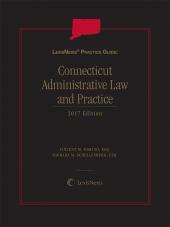 LexisNexis Practice Guide: Connecticut Administrative Law and Practice provides attorneys with an overview and practical guidance to the practices and procedures of Connecticut administrative agencies and courts. 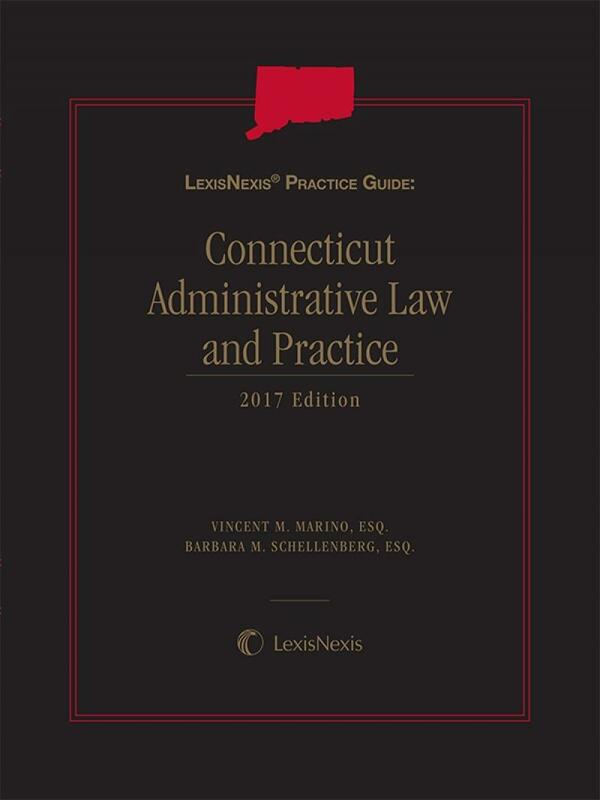 LexisNexis Practice Guide: Connecticut Administrative Law and Practice helps attorneys to gain valuable insight into Connecticut administrative practices and procedures that are useful to practitioners before both administrative agencies and courts. 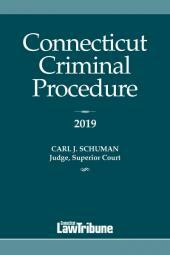 The guide provides detailed discussion of both procedural and substantive considerations, together with comprehensive summaries of helpful legal principles and standards of review from highly experienced Connecticut lawyers and judges. 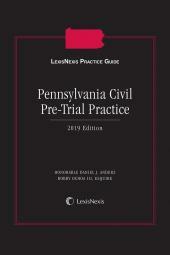 The publication contains relevant statutes, regulations and court rules, and serves as an easy-to- use desk reference to help avoid potential challenges facing administrative law practitioners. Vincent M. Marino is co-chair of Cohen and Wolf's Municipal Group. He is also a Principal in the Litigation and Bankruptcy Groups. Mr. Marino is resident in the firm's Orange office, practicing in the areas of commercial litigation, construction, municipal law and bankruptcy. Mr. Marino presently serves as Town Attorney for the Towns of Orange, Trumbull and Seymour. He serves as the Governor's representative on the Policy Board of the South Central Connecticut Regional Water Authority, as the co-chair of the municipal law committee for the Connecticut Bar Association, and as a member of the Connecticut Commission on Compensation of Elected Officials and General Assembly Members. Mr. Marino also serves on the Board of Directors of the Orange Chamber of Commerce and is a founding member of Saving Orange Residents in Need, a local charity serving his community of Orange, CT.
Mr. Marino is the former chairman of the Orange Republican Town Committee and previously served on the Paralegal Advisory Board for the Sacred Heart University Paralegal Program. He is a member of the Milford Chamber of Commerce and a mentor for the Bridgeport Bridge Academy. The Boy Scouts of America Connecticut Yankee Council honored Mr. Marino at their annual Good Scout Luncheon in 2013. Mr. Marino is recognized by Super Lawyers (2016) for his work in the area of General Litigation. In 2009, Mr. Marino was named a Rising Star by Business New Haven, and in 2004, he received the prestigious New Leaders of the Law Award sponsored by the Connecticut Law Tribune, an award that honors Connecticut lawyers who demonstrate leadership, innovation and dedication within their profession and communities. Barbara M. Schellenberg is a Principal and Chair of Cohen and Wolf's Appellate Practice Group. She is also a member of the firm's Land Use & Zoning, Municipal and Litigation Groups. Resident in the firm's Orange office, Ms. Schellenberg has a wide range of experience representing municipalities, individuals and businesses as appellate counsel in the Connecticut Appellate and Supreme Courts, as well as the Second Circuit Court of Appeals and the Third Circuit Court of Appeals. She also has tried numerous administrative appeals in the Connecticut Superior Court. In 2012 and 2016, Ms. Schellenberg was a faculty member at the Connecticut Bar Association’s Appellate Advocacy Institute. In 2013, she began serving as a board member of the Connecticut Supreme Court Historical Society and in 2016, she was appointed Editor-In-Chief of the Society Schellenberg's Journal, Connecticut Supreme Court History. Ms. Schellenberg is recognized by Connecticut Super Lawyers (2012-2016) for her appellate work. Ms. Schellenberg received her B.S. in 1981 from Cornell University and her J.D. in 1986 from the University of Pennsylvania Law School, where she was senior editor of the Journal of Comparative Business and Capital Market Law. § 1.05 Chevron U.S.A., Inc. v. Natural Resources Defense Council, Inc.
§ 5.01 What is a contested case? 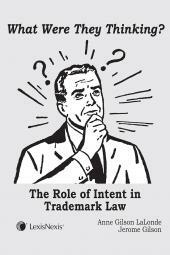 § 10.03 Who is the client?